Lush is pretty much my favourite shop ever and, as all beauty bloggers will know, Christmas is the best time for Lush fans. So I was super excited to be invited down to the Portsmouth store for the reveal of the 2014 Christmas collection. The staff had set up a gorgeous display of all the products in the party room at the back of the store. Let me tell you, it all looked and smelled incredible! Before the event began, we bloggers had a bit of a catch up first. 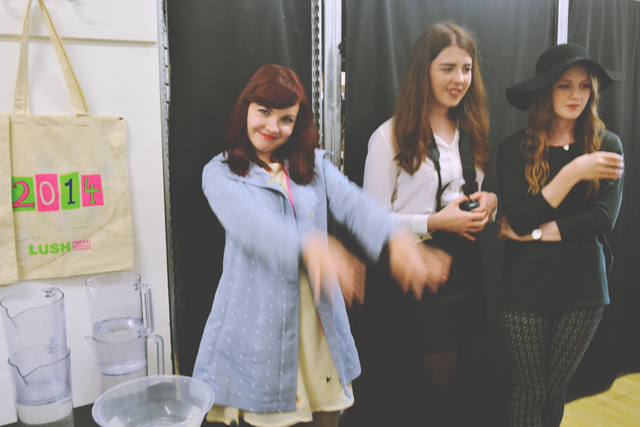 It was great to see a whole bunch of familiar faces- Islay, Alice, Paige, Amy and Ami. 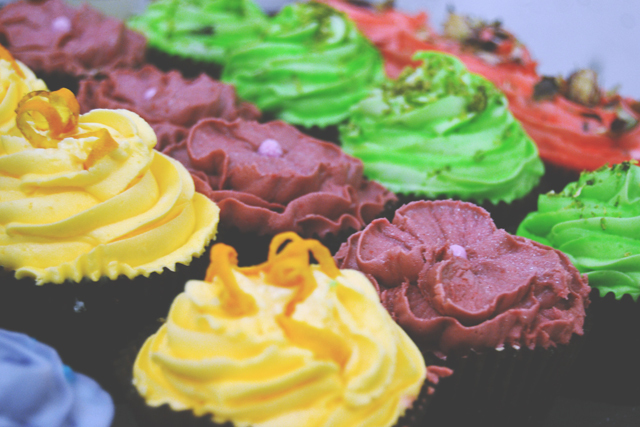 Lush had been provided with these beautiful cupcakes from a local bakery with flavours such as lavender and lime. While we snacked and chatted, we were given free reign to feel, play with and, of course, sniff the wonderful products. Many of the products, like Magic Wand and Christmas Penguin, are returning from previous years. It makes me happy to see my favourites come back year after year. I was particularly excited to see Melting Snowman. That little dude smells amazing! Of course, it's not all familiar products. 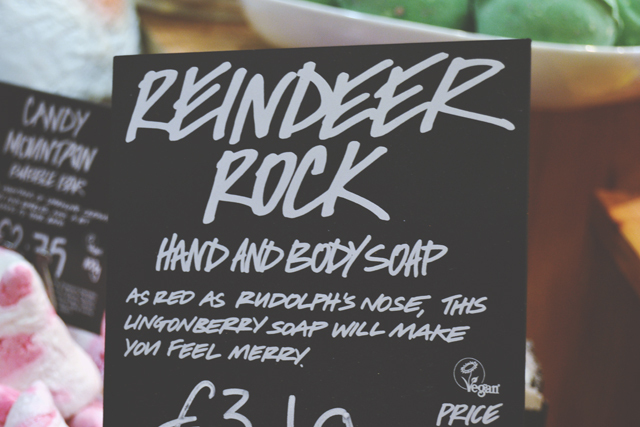 There are also loads and loads and loads of new products, such as Reindeer Rock soap which smells exactly like the Comforter. Yum yum! Although I'm not a fan of Fun, this special snowman edition is so cute! 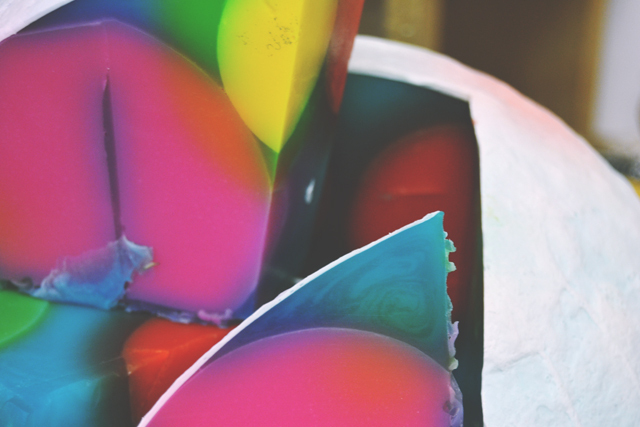 It smells wonderful, exactly like Carrot soap from Easter, and comes with all three colours- white, black and orange- so you can make your very own bath buddy! Although the focus was Christmas, there was also a bunch of Halloween products. 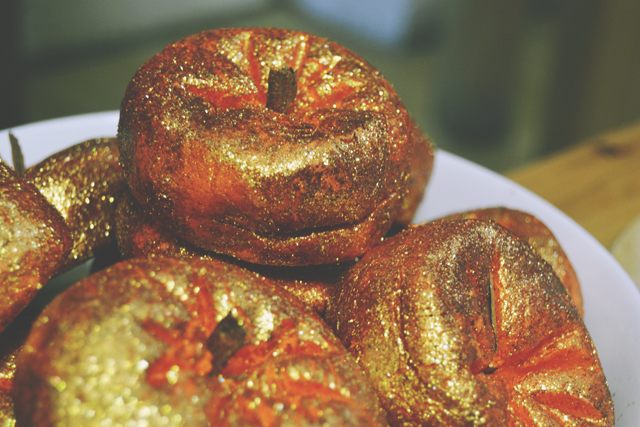 These Sparkly Pumpkins look beautiful! 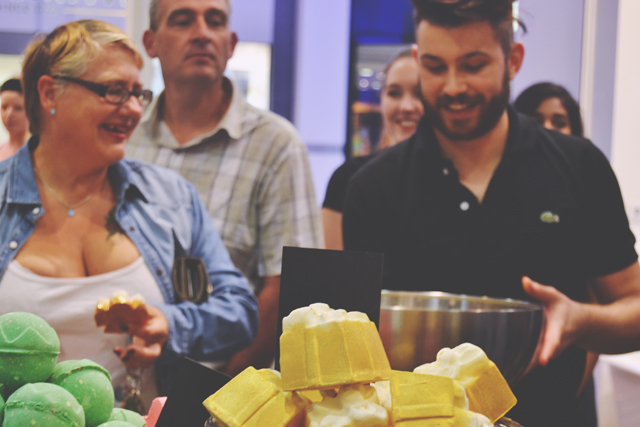 After getting to grips with the products, the wonderful Lush staff showed us demos of some of the most popular bath bombs, bubble bars and shower gels. The stunning swirls above are created by the newly revamped Luxury Lush Pud. 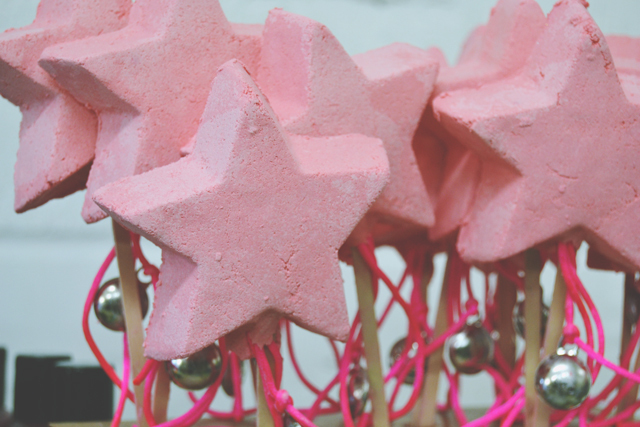 It was one of my favourite bath ballistics last year, but now it's been reformulated to create a bubblegum pink bath. All of the staff were so knowledgeable, so we learned some really interesting facts. Did you know each Golden Wonder takes a whole week to make? You do now! Paige couldn't resist touching the bubbles! 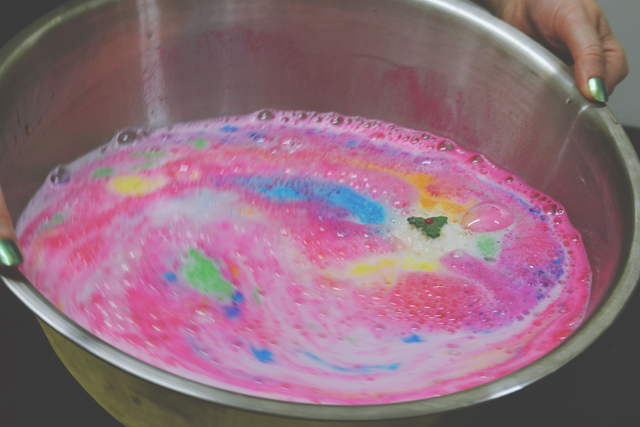 Once we'd finished ooh-ing and aah-ing over the pretty swirling colours, we came to my highlight: Making our own Comforter bubble bars. 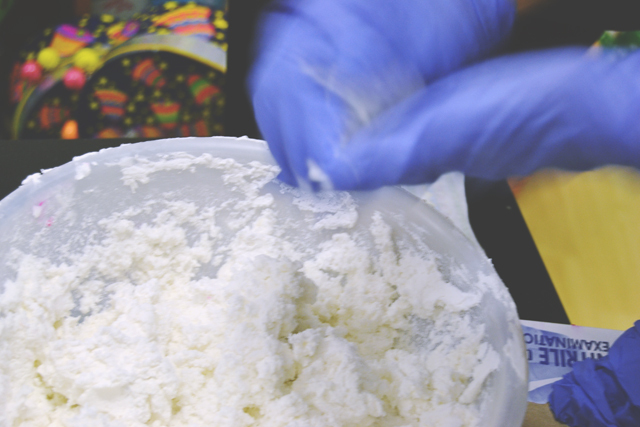 Taking a ball each of white and pink blackcurrant-scented formula (it felt a bit like soft Playdough), we squished them together to create a swirly pyramid and then squashed it down to make the bubble bar shape. All I had to do was leave it out to dry overnight and it was complete! My Comforter is absolutely huge and I'm so excited to use it! Before the party ended, we were each very kindly allowed to choose four products to take home with us. I chose all new products: Hot Toddy shower gel, Holly Golightly bubble bar, Snowman shower jelly and First Snow dusting powder. However, I couldn't resist heading back onto the shop floor and buying a whole bunch of products. They were just too lovely and I was far too excited to wait! I had a wonderful time and I can't wait to try everything. Thank you so much, Lush Portsmouth! Aaw! Maybe send them a tweet to introduce yourself as a local blogger? hot toddy is amazing and I love first snow, but did you guys get to sniff the Yog Nog soap?? That's good enough to eat that stuff!! I LOVE Lush's Christmas collections! I usually get some every Christmas, but I think I'll be treating myself to a few bits before December this year because I just can't wait! 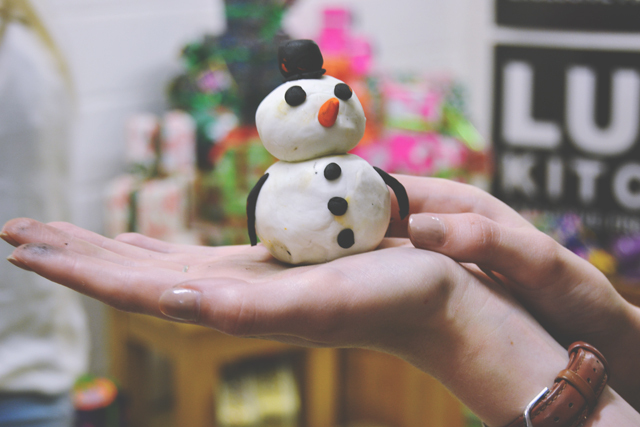 Christmas is the best time for Lush! This looks like SO much fun! The little penguin is so cute. Can't wait to do some Christmas shopping... even though it's just October. It's never too early for Christmas haha! Paige was so funny with the bubbles! 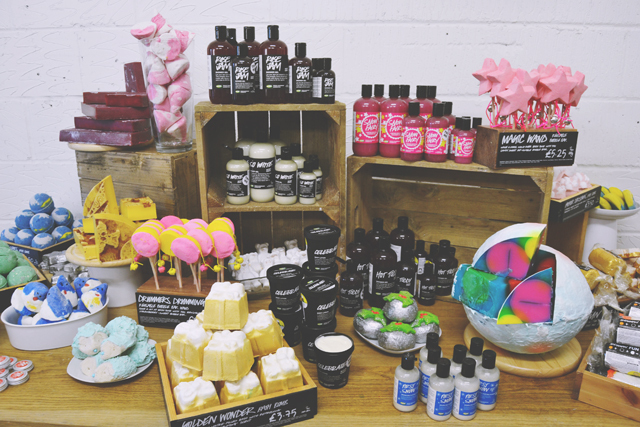 I haven't shopped in Lush for years but this post has made me want to head there right now! Everything is so pretty! Definitely visit right now haha! I went to one of the Lush Christmas events in Birmingham earlier this week and it was so much fun! Literally could have walked away with the entire collection but my favourites were the Baked Alaska soap and the penguin fun. So cute! Definitely need to go into Lush the minute I get back in the UK!!! I can't believe how many new products there are! The soap or the stuff in the bowl? The soap is Baked Alaska and the stuff in the bowl is Luxury Lush Pud. All of the new things look so great! 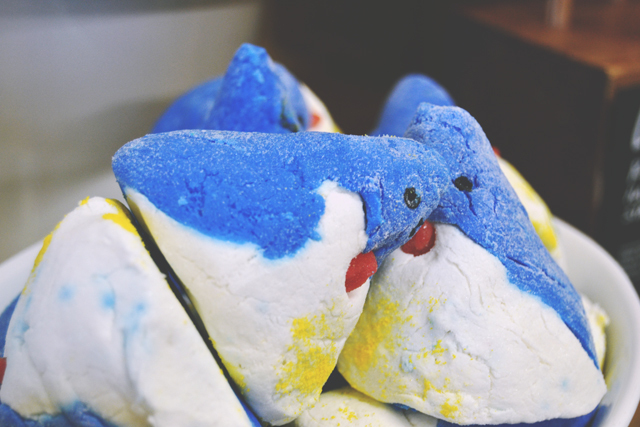 I really need to get myself down to lush.